I believe All Saints Day is also a time to speak life to death. Death is an uncomfortable subject, for which we find euphemisms. Rather than saying someone we loved died, we say our beloved “passed” or “transitioned.” While such words hold valuable meaning if fully explored, the power of our faith invites us to name death directly, fearlessly, and through the lens of eternal life. This Sunday, we’ll reflect further on our invitation to live as saints, cheered on by the Great Cloud of Saints, who journey with us through the thin and thick places of life as stewards of eternity. See you Sunday at 9AM and 11AM. 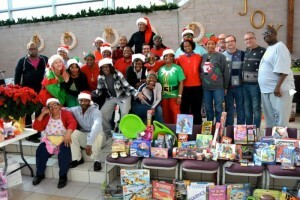 JOIN US AT MCCDC FOR THE HOLIDAYS! BRING UNWRAPPED TOYS IN THIS SUNDAY! Let’s get our Toy Drive started off with lots of toys. When you pick up toys and games for the little ones (infant to 10 years old) during this year’s toy drive, please grab an item for the tweens and teens (ages11 to 18) too. Gift ideas for 11 to 18year olds include handheld electronic devices (games and tablets), chargers for electronic devices, headphones, video game cartridges, skateboards (castor boards, street surfing wave boards, helmets, knee / elbow pads, etc.,), razor sole skates and gift cards (movies, iTunes, retail, etc.,). 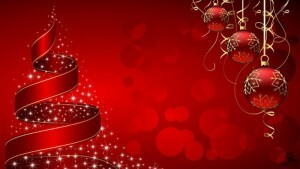 Batteries are needed: AAA, AA, C, and D.
We also could use Christmas Cards for the kids to fill out for their families. The Congregational Forum will take place on November 8 at 12:30pm. At the meeting, you will hear about the accomplishments in 2015, goals for 2016, candidates for the Board, and the 2016 Budget. The Congregational Meeting will take place on November 22 where we will approve the 2016 Budget and vote on candidates for the Board of Directors. Facebook Page-Do you love to Facebook? 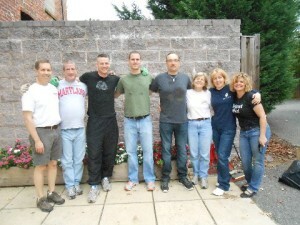 Our MCCDC Facebook team could use your support. We are expanding and needs your skills. MCCDC Choir – Consider joining the choir for the Christmas concert which will be held on Dec 4th and 5th. 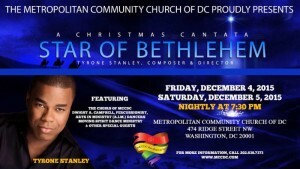 Please see our 11 am Music Director Tyrone Stanley for more information. Our 9 am choir has room for you. Please see our 9 am Music Director Daniel Scearce for more information. Website Content – Many go to MCCDC’s website to learn more information, hear sermons, see pictures of our community even before stepping foot into our sanctuary. We are in great need of a volunteer to assist in this communications ministry. Children’s Ministry – The Children’s Ministry provides a fun and safe space for children to learn about spiritual values, while valuing each child’s unique talents and abilities. Hospitality – God’s hospitality extends welcome to the entire community, the Hospitality Ministry provides arms and feet to that welcome. The ministry is responsible for coordinating food and welcome during the social time. Information Station – These faithful folks coordinate the sharing of information about ministry activities, events and directions. They extend the hospitality of welcome to everyone who has questions or require assistance. AV Ministry – This Ministry is responsible for the sights and sounds in worship and other services in the sanctuary. If you feel called to investigate learning and participating in providing audio and video support, please pray about connecting. If you are interested in any of these service ministries, please contact Rev Cathy at revcathy@mccdc.com or 202-638-7373. MCCDC will contribute to the celebration of MCC’s Anniversary. We will offer honors and remembrances and the funds raised will support MCC Emerging Ministries. 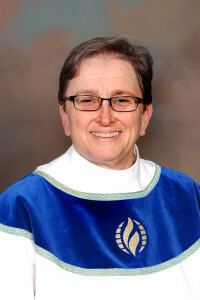 Please see a message below from MCC Moderator Rev. Elder. Dr. Nancy Wilson. WORKING TOGETHER WE WILL SUCCEED!! As we reflect on nearly 50 years of MCC Ministry, I invite you to reflect on how we all participate in building God’s vision for the world. Your generosity allows MCC to impact and transform the lives of those in our communities and beyond. We are thankful for everything you do for the church, and simply put, without your kindness and generosity we could not be part of the work God has given us to do. It is that time when I ask once again for your prayers and consideration of our Anniversary Sunday. These funds help support the programs and ministries of our church. We have set a lofty goal of $250,000 to go towards Emerging Ministries and other vital MCC programs. The Anniversary Sunday campaign is one integral component of reaching this goal over the course of the upcoming year. I know that by working hand in hand, we can and will succeed! The Nominations Committee forwarded their recommendation for four candidates for the two open positions. The recommendation was approved by the Board. This holiday season we will celebrate our Service of Thanksgiving on Wednesdayevening November 25th at 7pm. Please plan on joining the celebration at MCCDC. The next membership class will take place November 15. If you have questions about MCCDC and what membership is about, class will be held on November 15th from 12:30 to 2:30 in the lower level conference room. All are welcome to attend. A light lunch will be served. PLEASE register so that we may have enough food and materials. Contact Rev Cathy at revcathy@mccdc.com or 202-638-7373. Let Us School You (And you can teach us a few things, too) Adult Sunday School has restarted. It is held Sunday mornings between the two services from 10:15-10:45am, in the lower-level conference room. Our topic of discussion is an overview to Bible basics. Bring your coffee and cookies. Sessions are short but pack a lot of punch. It’s a great way to spend a half-hour – learn something new and fellowship, too. All are welcome and wanted. We have launched the MCCDC “45 Years: We’ve Come This Far By Faith” Campaign. Please make sure you return your pledge card to the church office or you can put it in the offering plate on Sunday. 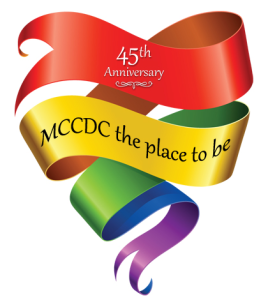 As we celebrate the 45th anniversary, let’s come together and help shape the future of MCCDC!! Saturday, November 14, 9:30 a.m.-1 p.m.
Strong and growing congregations typically have a very high percentage of people who are actively involved in learning, serving, and leading. Yet most churches have a large contingent of less-active members. Research suggests these people long for spiritual growth, but many church activities fail to connect with their needs, interests, and life patterns. At the Increasing Active Engagement Conference you will explore best practices for getting and keeping people involved and engaged. 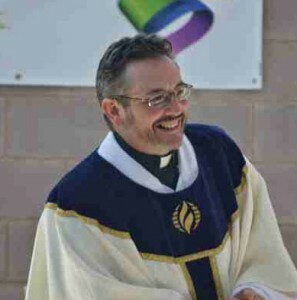 Increasing Active Engagement is ecumenical and designed for both laity and clergy. If you are interested in attending, please contact Rev Cathy at revcathy@mccdc.com or 202-638-7373. The Congregational Forum will take place on November 8th at 12:30 and the Congregational Meeting will take place on November 22nd at 12:30. Join other MCC’ers to beautiful our church’s property and nearby streets for the Fall. We’ll rake and collect debris, trim bushes, pull weeds, plant flowers and make our church and neighborhood prettier for the Fall. We’ll have fun while we work … and it is a great way to connect with other MCCers! If you can, please bring your landscaping tools (rakes, brooms, gloves, clippers, etc.). We’ll have some light breakfast foods to fuel us. Please RSVP to Greg Snyder, gcsnyder01@aol.com, 202-427-6313. The Stewardship Team has started a new program called “Blessings To Go.” The program offers blessings to folks as they leave the Sanctuary each Sunday. Look for those wearing the Blessings To Go nametag. The Stewardship team has formed and there is room for you. Our focus and purpose are to facilitate conversations and awareness of using your time, talent and treasure. Read about the team’s charter and purpose here https://goo.gl/IQc2y7. The OAM will meet for the monthly potluck at 12:30PM on Nov 1. The ministry is for Older Adults over 50. Please join us in the lower level conference room. Please contact the church office for more information at churchoffice@mccdc.com or 202-638-7373.